January Extreme Endeavors: What’s Up for 2019? Welcome to a new year! If you’re wondering what’s up for 2019, I was hoping to have the whole year planned out by now, but it’s taking a little longer than expected. Isn’t that how things usually go though. For now, I’ll share a few things coming up, like our Volunteer Happy Hour and Work Day dates, but stay tuned for other exciting things on the horizon! 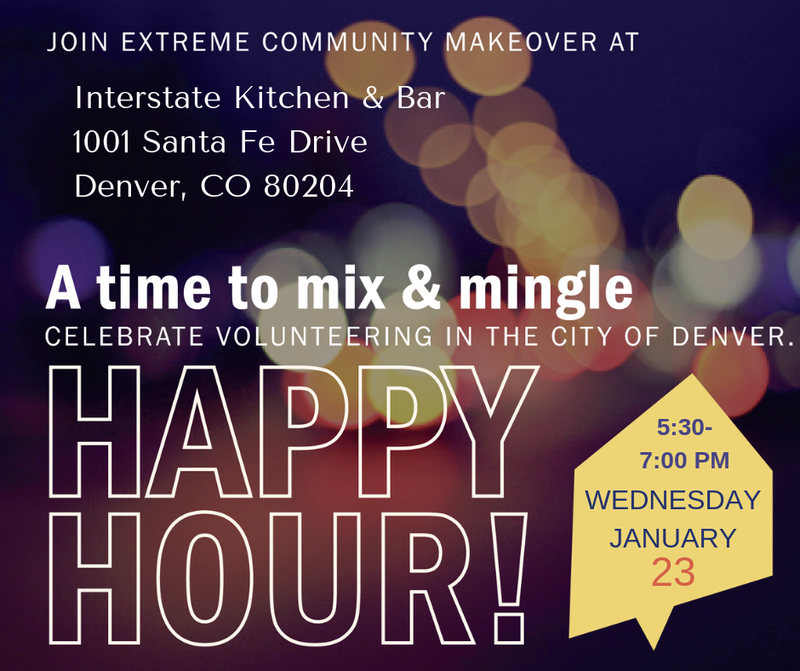 Our first Volunteer Happy Hour of the year is coming up Wednesday, January 23 from 5:30-7:00 pm at Interstate Kitchen & Bar. 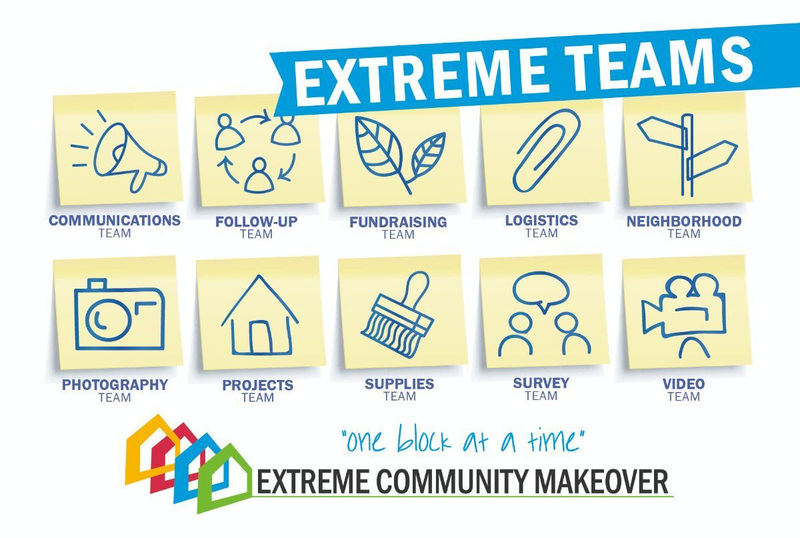 These events are a time to learn more about volunteer opportunities with Extreme Community Makeover, to find out how to get involved, and to connect with others who like to volunteer. We will be hosting these events once a month this year, so stay tuned for future dates. Do you want one of these special t-shirts? 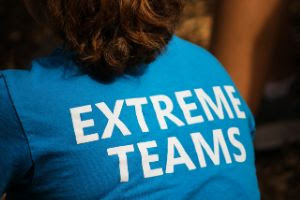 If you join the Extreme Teams, you can have one! There are ten different teams, so there is bound to be a team that fits your skills. Click on the image below for a more detailed description of each team. The commitment includes attending four team meetings and signing up for three Saturday Work Days. Are you following Extreme Community Makeover on our social media sites – Facebook, Instagram, and Twitter? Click on the buttons below and stay in touch via social media today, since we post here every day. And who knows, maybe you’ll even see a picture from a volunteer day that includes you! Let me know if you have questions about getting a group involved or volunteering as an individual. Copyright © 2019 Extreme Community Makeover, All rights reserved.